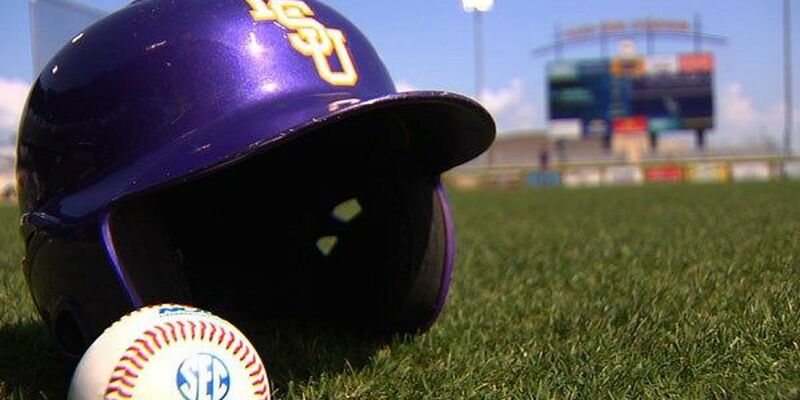 KNOXVILLE, TN – Junior left-hander Jared Poche' limited Tennessee on Saturday to two runs in 5.1 innings, and junior catcher Jordan Romero collected three hits and two RBI to lead 11th-ranked LSU to an 11-3 win over the Volunteers at Lindsey Nelson Stadium. LSU, which has won seven straight games and five consecutive SEC contests, improved to 35-16 overall and 16-10 in conference play. Tennessee dropped to 26-25 overall and 7-19 in the SEC. The teams conclude the series Sunday at 2 p.m. ET (1 p.m. CT) in a game that may be viewed online on SEC Network +, accessible at WatchESPN.com and the WatchESPN app. The game can be heard on affiliates of the LSU Sports Radio Network, with live audio and live stats available at www.LSUsports.net. Freshman right-hander Caleb Gilbert (4-2) will start on the mound for the Tigers, and Tennessee will counter with sophomore left-hander Aaron Soto (4-2). Poche' (6-4) worked 5.1 innings on Saturday, firing 90 pitches and limiting the Vols to two runs on eight hits with two walks and three strikeouts. Right-hander Russell Reynolds earned his first career save, as he worked the final 3.2 innings and allowed one run on three hits with no walks and one strikeout. LSU erupted for six runs on six hits in the first inning against Tennessee starter Zach Warren. The inning was highlighted by a two-run double from left fielder Beau Jordan and RBI singles by shortstop Kramer Robertson, catcher Jordan Romero, third baseman Chris Reid and first baseman Greg Deichmann. "We have a very good offensive team that takes an excellent approach at the plate, and that was certainly evident today," said LSU coach Paul Mainieri. "That first inning outburst was huge for us and set the tone for the game. Jared gave us a solid outing and worked into the sixth inning, which is exactly what we needed. Russell Reynolds continues to very effective out of the bullpen, so our pitching is set up nicely for the final game of the series. "We're playing with a lot of confidence right now, which is critical at this time of the season." Warren (5-5) was charged with the loss, as he recorded just one out in the top of the first inning and issued two walks. LSU extended its lead to 7-0 in the second inning when Romero unloaded a solo homer, his ninth dinger of the year. Romero was 3-for-4 on the day with two RBI and two runs scored to lead LSU's 13-hit output. The Tigers added two runs in the third as right fielder Antoine Duplantis scored when Tennessee center fielder Brodie Leftridge misplayed LSU center fielder Jake Fraley's single, and Fraley later came home from third on a double steal. Tennessee narrowed the deficit to 9-1 in the bottom of third when Leftridge doubled and later scored on third baseman Nick Senzel's groundout. Fraley lifted a sacrifice fly in the fifth to score second baseman Cole Freeman, giving the Tigers a 10-1 advantage. Tennessee scored a run in the sixth on a Poche' wild pitch, but LSU answered with a run in the top of the seventh when Deichmann scored from second base on a throwing error by first baseman Derek Lance. The Vols added a run in the eighth on Lance's sacrifice fly to account for the final margin.